It’s remarkable to note how expected Marvel’s success has become. They bring out several new films a year, and the bar just keeps getting higher in terms of crowds. Thor: The Dark World is considered one of the weaker films creatively, yet it’s still earned more than $600 million worldwide. Can anything stop the Marvel juggernaut? One major hurdle arrived in August with the release of Guardians of the Galaxy. Although well known to comic book fans, its characters were not household names like Captain America and Iron Man. Gigantic hits rarely arrive this late in the summer; audiences are typically worn out after three months of explosions. Few were expecting Guardians to become the year's number one movie, but the hints were there if you dig a little deeper. We’re living in a dreary world for blockbusters. Our super heroes do more brooding than cracking jokes, and decimating major cities is par for the course. The visual effects may be spectacular, but it’s hard to get too excited. There are exceptions to this rule, however. Christopher Nolan found a way to keep his Batman films away from becoming too portentous. It takes quite a lot of skill to pull off that trick, however. What this summer needed was a space adventure! In retrospect, a romp across the galaxy with a ragtag group of misfits was a surefire fit. The Marvel cache brought people in the theaters, but it was the word of mouth that took this film to the stratosphere. The raves came from both audiences and critics, who recognized the skill behind the goofy antics. I hate to diminish the skill that’s needed to pull off this type of adventure movie. There’s a fine line between delivering a fun, offbeat experience and a tonal misfire. The past few decades are filled with films that strove mightily to deliver this type of hybrid. The infamous Howard the Duck had clever gags but couldn’t sell the oddball narrative. I mention that film for several reasons, including a surprise appearance in a post-credits scene. Beyond that connection, it also couldn’t make us take Howard seriously. 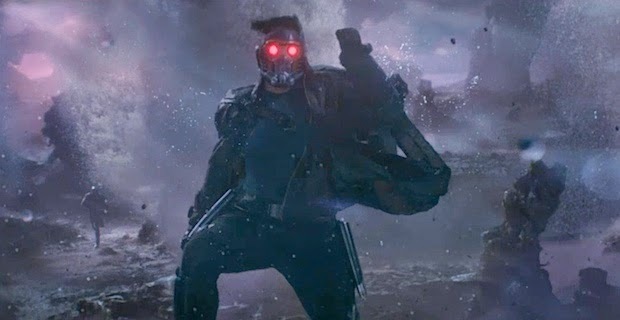 Director James Gunn has possible obstacles to bypass with Guardians, particularly the standout Rocket Raccoon (voiced by Bradley Cooper) and a big tree named Groot (voiced by Vin Diesel). What’s refreshing is how easy it is to accept both. One reason may be the makeup effects work from David White, but good writing doesn’t hurt either. Another challenge is star Chris Pratt not being a household name, but it just takes a few moments to sell him as the lead. He has such a relaxed presence on screen as Peter Quill (aka Star Lord) that we’ll follow him anywhere. He’s a bit of a mess as a Ravager yet finds a way to skirt out of dire situations. Abducted from Earth as a child, he’s tied to our planet through a cassette of old-school pop songs that plays constantly on his ship and Walkman. 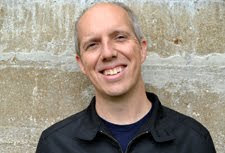 The choice to use tunes like Blue Swede’s “Hooked on a Feeling” and Elvin Bishop’s “Fooled Around and Feel in Love” is pivotal to setting the right mood. There’s a sense that anything can happen and we aren’t playing by the normal rules. When Quill uses “O-o-h Child” by Five Stairsteps and tries a dance contest to distract the stern villain Ronan (Lee Pace), we’re far from Man of Steel territory. That scene is hardly a throwaway and comes during the final fight to save the planet Xander, and it feels right despite the high stakes. There are plenty of precursors to Guardians, with the most obvious one being the original Star Wars. The idea of outsiders coming together for a common goal springs from a much earlier time than that 1977 film, however. It’s a common theme of adventure stories yet feels fresh in the right hands. A more recent ally is Serenity, which has a similar mix of high stakes with one-liners and space action. That movie is more grounded and focused on humans, yet it shares the fun that’s often missing from big-budget material. It’s certainly no coincidence that Joss Whedon is so involved in the Marvel universe; The Avengers also shares this airy feeling to the action set pieces. Guardians takes that approach to a different level yet doesn’t fall into self-parody for the most part. The final act risks becoming too big to keep us engaged, but the characters still run the show. They’re involved in a classic heist with a ticking clock, and the fate of millions hangs in the balance. Another key factor in the success is the look, which is filled with bright colors, giant ships, and inventive aliens. This is not the muted world of blues and greys from The Amazing Spider-man 2. There’s plenty of green screen work, yet it meshes well with the digital effects to deliver colorful and unique worlds. The costumes from Alexandra Byrne (Elizabeth, The Avengers) set up the good and evil characters just right. Lee Pace wears a massive black outfit that makes Ronan appear so imposing that he nearly dwarfs everyone beneath him. A nearly unrecognizable Karen Gillan (Amy Pond from Doctor Who) is all metal and darkness as the evil Nebula. 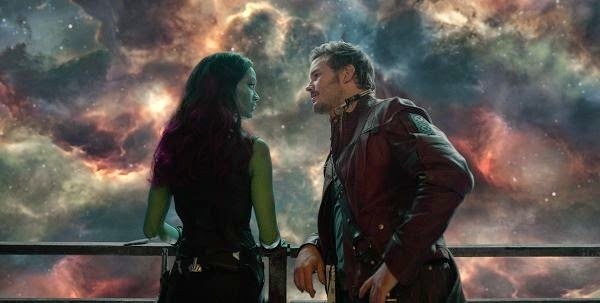 Chris Pratt wears a bright maroon jacket as Quill that brings to mind the cool of Mal Reynolds and Han Solo. 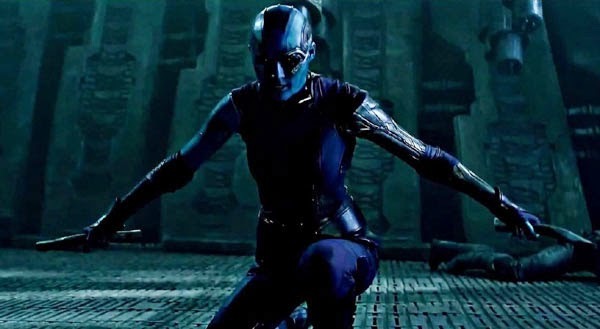 Zoe Saldana’s Gamora has a similar dark outfit to Nebula, yet her green skin and red hair differ so much from the grim look of the villains. Gunn co-wrote Guardians with Nicole Perlman, though he’s going out of his way to dismiss her involvement. It’s impossible to know how much of her original script in on the screen, but it’s distressing to note how strongly Gunn’s making his case. Perlman’s the first female writer that’s been credited on a Marvel film, and the issues seem to be coming more from him than the studio. Would it really be that bad to just accept that both contributed to its success? 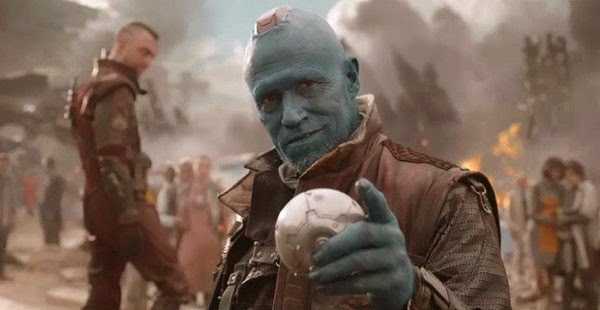 Regardless of this murky situation, Gunn’s comic sense plays a key role in why the movie works. It’s filled with jokes, yet there’s a linear plot that connects together. We’re flying along for the ride with this mismatched group through a high-tech prison, a dangerous alien marketplace, and other locations before we reach the final battle. It’s easy to imagine a studio chief wanting little to do with a film starring a raccoon, a tree, and other aliens. Bradley Cooper’s unrecognizable voice does wonders for Rocket Raccoon, but the real star is Groot. He’s a tree of few words, yet Vin Diesel finds ways to make each “I am Groot” delivery feel different. When you add in memorable parts for the massive Dave Bautista, Michael Rooker, John C. Reilly, and Benicio Del Toro, it’s more than a star vehicle. There’s even a random appearance from Glenn Close as a government official. Unlike some other superhero franchises (i.e., Batman v. Superman), I’m excited to see a sequel. That’s rare and shows just how much fun is present within this film. It sidesteps the Marvel formula and creates something that feels unique and truly alive. This is a very entertaining movie and it's loads of fun. I thought it was going to be a miss by Marvel and prior to the great word of mouth I wasn't planning to go see it. When both critics and preview audiences were raving about it I ended up seeing it opening day. I was curious because I knew nothing about the characters, but I wasn't that enthused until I heard so many good things. I haven't been to the theater that much this year, but I made an exception here. It was the right move, and all the raves weren't overblown. I like it more as I've thought about it during the past few weeks.